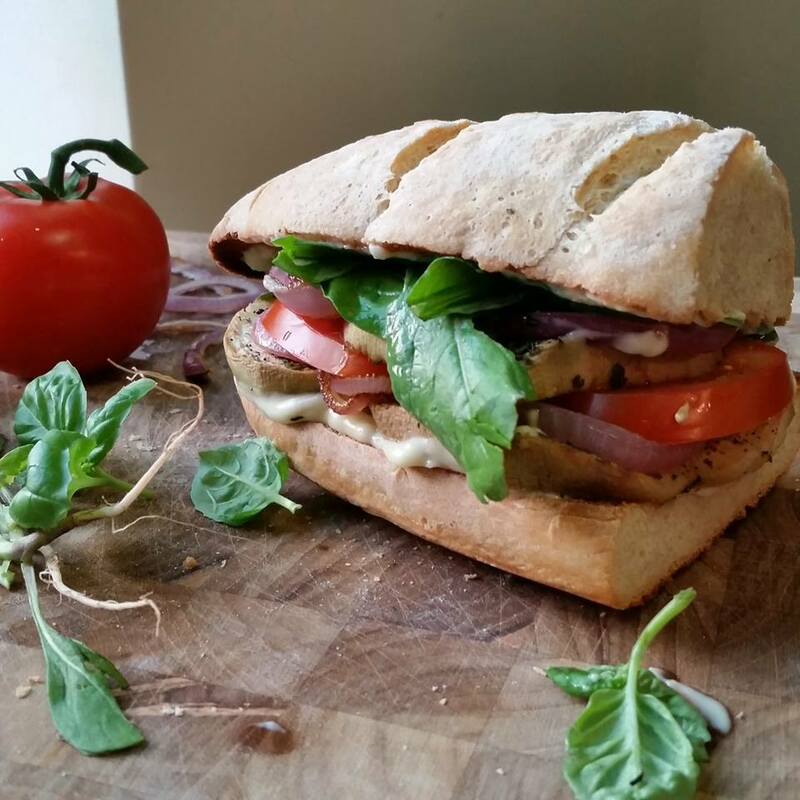 Rustic French bread + sweet eggplant + creamy aioli = perfect sandwich. Combine all mayo, 1 tablespoon olive oil, lemon juice, and minced garlic, whisking until creamy. Cover and refrigerate. Combine thyme, parsley, and rosemary in a bowl. Place eggplant on parchment-paper-lined baking sheet. With a pastry brush, lightly coat both sides of eggplant slices with olive oil or cooking spray. Sprinkle with herb mixture, and shake on salt and pepper to taste. Turn slices over and do the other side. Bake eggplant for approximately 30 minutes or until tender. Spread aioli on both sides of the bread, then assemble the sandwiches by dividing the eggplant up evenly and topping with slices of red onion, tomato, arugula, and fresh basil leaves.